It’s one of the best exercises you can do for many reasons. 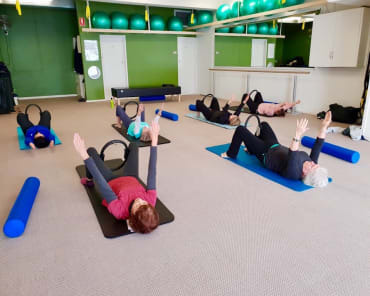 Joseph Pilates knew this and included The Push-Up as one of his original mat exercises that he wanted people to do at home. So why do so many people struggle to master this exercise? In a nutshell…core strength and gravity!!! Gravity is a huge force on our body and “pushes” us in to the ground, stopping us from floating away in to space. 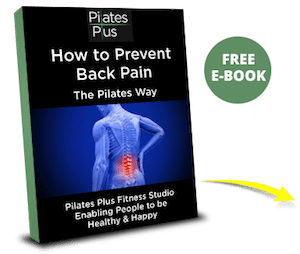 If we don’t actively work at counter acting this force, we start to experience changes in our posture and a kind of “compression” of the spine…I’m sure you’ve seen older people who have an appearance of “shrinking”. 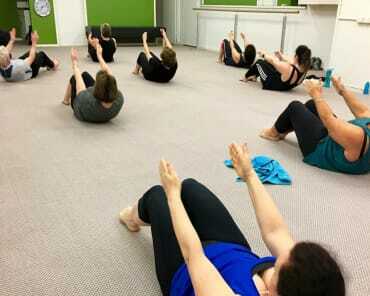 Pilates creates deep postural strength which elongates or stretches your spine upwards, providing that counter acting force against gravity. 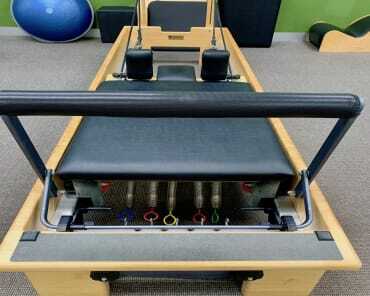 This is the foundation of Pilates core strength and is essential to developing strength from the deepest muscles in the body. The same “pushing” effect of gravity kicks in as soon as you get in to a push up position, so it’s a bit like having extra weight on top of you…can you see how important core strength is to this exercise? Yes, you need upper body strength, but if you have a strong core, then you are able to negate the push of gravity on your body, making it easier to not only go down in a push up without compromising your technique, but have the strength to “push up” against gravity on the way up. Here are some videos which demonstrate how to modify or use the effects of gravity to either make your push up easier or to add an extra challenge. 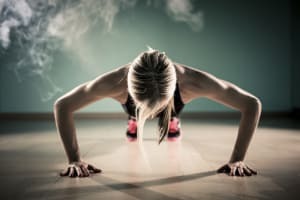 If you have never done a push up before, then you really need to be taught the correct technique, so these videos are only for experienced exercisers. You’ll see that the Level 3 version is a bit of a challenge for me!!! Looks like I need more daily practice!! Try doing 3 sets of as many as you can manage…ideally up to 15 repetitions, and repeat 3 times a week.